I sat there with my paper in my hand and read what was written on it. 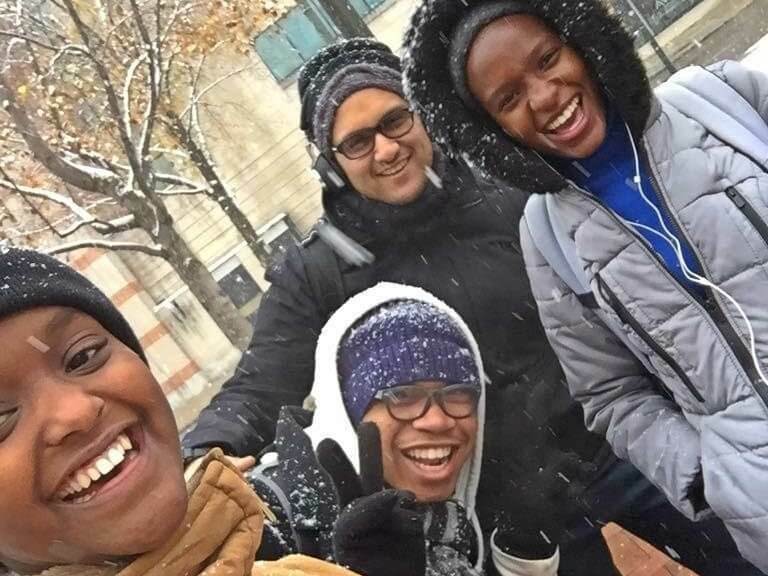 This was my first Sabbath at Amherst college with ACTS (Adventist Christians Together to Serve), a Five College group of Adventists who come together to worship. We introduced ourselves and shortly we had an exercise; we were given paper and told to trace our hand, stitch it to our back and have people write something they like about us or what they would like to know about us. We also wrote our comments on the paper on their backs so no one knew who had written what on their papers. “I like your accent, what is it a mixture of?”, someone had written. I never knew that I actually had an accent. This has become a usual refrain I hear at college. Having to repeat myself numerous times just because someone can’t hear what I would have said, not that I would have spoken in a low tone, but because of my Zimbabwean accent. Having to keep quiet in class even when I know the answer just because I’m afraid no one will understand what I would have said. Having to say “pardon” for half of the conversation because I would have heard nothing. Having to endure the “ ummmm” and the “right” knowing that someone did not understand anything I said. Having to introduce myself with pronouns: “Hi my name is Yolanda, and I use she/her pronouns” also took me by surprise. Always walking on crosswalks (few people care about these at home), drivers driving on the right, cars coming from the left. And of course the return policy: here if you buy something and you simply decide you don’t like it, you return it. In Zimbabwe the shopkeeper would stare at you in disbelief and not return your money. We have self-scheduled exams, a true test of loyalty and trustworthiness. And here not everyone believes in God. The day I arrived Fortune (a USAP older sister who is also a Smithie alum) came to pick me up from the airport in Boston and I slept over at her place, as I was supposed to travel to Smith the next day. She put me on a bus to Northampton. As I arrived at the bus station I was met by ISP leaders with a poster written “Welcome International Smithies!”, a very warm gesture. We took the school van and headed to school for check-in where I received a folder with some information, a Smith shirt, my room key and a back pack. I was then taken to my room in the part of campus called the Quadrangle. It is a very beautiful space, with its own bathroom. I started unpacking and in no time my other USAP sisters, Rutendo and Chiza, came with a personalized welcome packet to welcome me to campus. We had a wonderful time and I felt at home. The next day International Orientation started and we were divided into six groups and introduced each other in those groups. 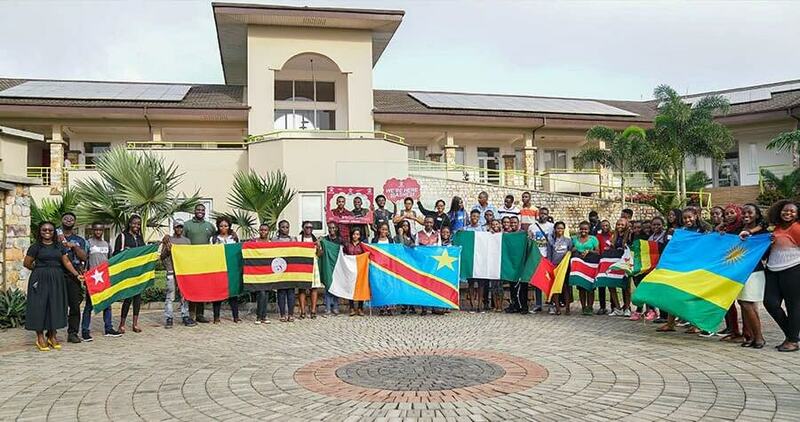 One of the activities was a scavenger hunt tailor made to familiarize us with the campus. We were tasked to go to different buildings on campus and take creative pictures in front of the buildings or jump midair as we took those pictures. My group was called the Simrunners for the simple reason that our ISP leader was called Simren and we ran a lot during the scavenger hunt. We did our best and became the best group and won tokens for free pizza downtown. During the regular First Year Orientation I got to help fifth graders as they were building balloon-powered cars in a space of two hours with material given to them. I did a short presentation on the project itself. I love children and have a passion for making things, so this activity combined my loves and brought out the best in me. In my Engineering class we got to interview people on how they feel about certain robots and then decided to make robots that are loved by the people using them. We got to design a lamp that is universal in the sense that it can be used by most people around the world regardless of physical abilities. Right now we are prototyping three robots with different functions. The housing at Smith is structured in such a way that it really feels like home. Smith places her students in actual houses as opposed to having dorms. These houses have kitchens or dining halls. 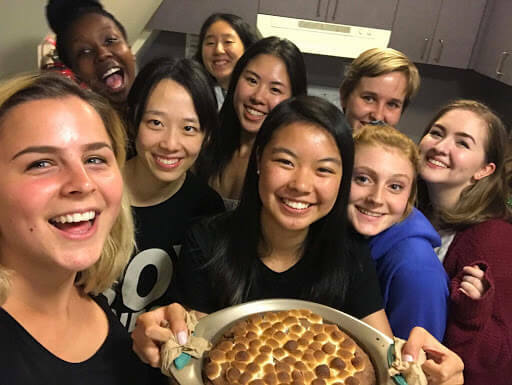 Smithies become very attached to their houses and in many cases would prefer to stay in the same house for all of their college life as they end up having a connection with the houses and the community within it. The house that I am in, Morrow, has already become more like home. We have tea every Sunday at four, when the whole house comes together to bond and chat over tea and cakes. We also have family dinner every Monday and Thursday nights and usually watch a movie as a house, moments which bring us all together as a house community. I was elected as our house Eco Rep so I have to make sure that the house is sustainable and environmentally-friendly. The Quad, where I live is has so many traditions, one of which is the Quad Chant, when all of the houses in the Quad come out and chant their themes all at once. Last night there there was a good-natured Quad riot as the Smithies went to the President’s house protesting that they want Mountain Day (a tradition when the President cancels all lessons and students go to pick apples in a nearby farm) to be held tomorrow. Apparently the President came out to meet with them, and with a smile said she would think about it. The nice part about Mountain Day is that no one knows when it is, even the professors themselves. When I left home, I thought that America had the best food in the world, but I soon realized that it is all relative as in no time I was missing my native “sadza”. There is a variety of food in the dining halls and we get to choose what we want to eat and where we want to eat. This at first was exciting, but I soon started missing fresh green vegetables from the garden. The spices here are also very different from those we use at home and do not taste good to me. My Zimbabwean USAP sister Rutendo came to my rescue and gave Aromat to season my food, so that it could taste a little closer to home. We all find ways to adjust and cope as together in our diversity we become Smithies. 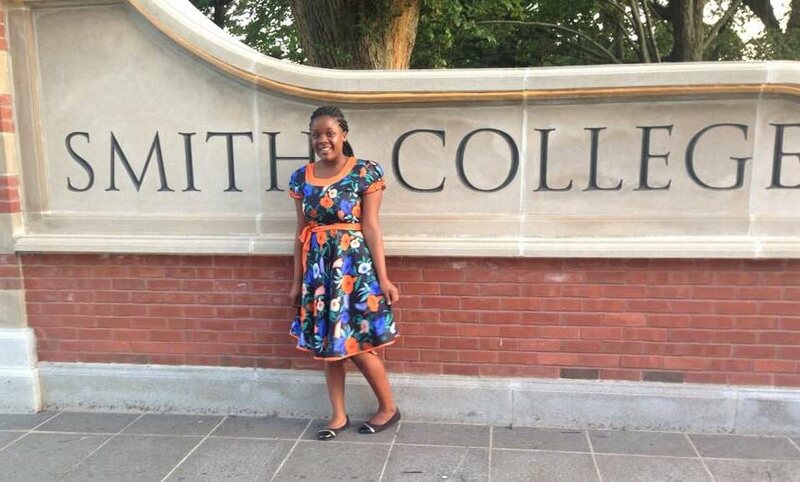 Yolanda Chigiji is a USAP alum from Bulawayo who is a first year student at Smith.